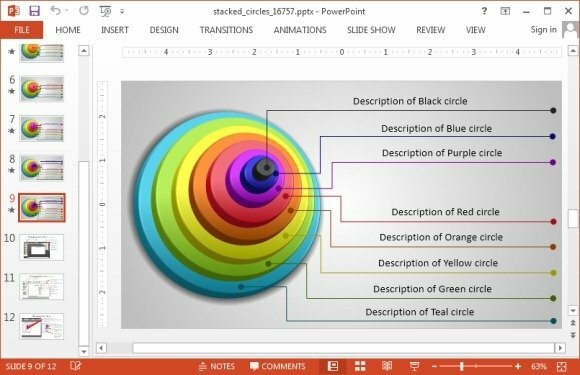 Animated Stacked Circles Diagram Template for PowerPoint not only makes it possible to easily create stacked diagram slides but provides various PowerPoint slides which allow making diagrams up to eight layers; each with placeholders describing the relevance of the layer. 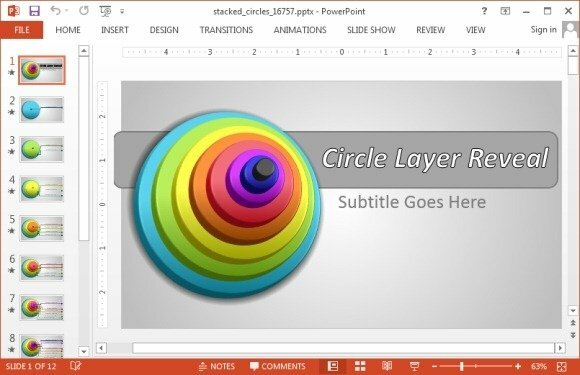 As you can see from the image below, the slide can be edited by simply labeling the textbox. 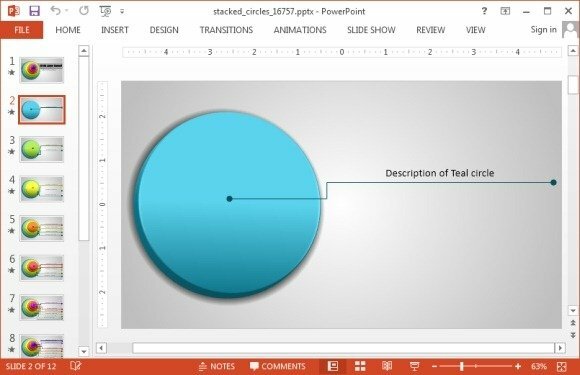 The template has various slides, each of which contains an animated stack diagram up to a certain level. 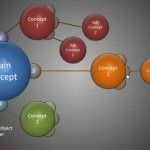 You can create infographic and diagram slides with a single circular diagram or slides with two, three, four, five six, seven or eight stacks. For instance, the below slide is meant for making a two layered stacked diagram. 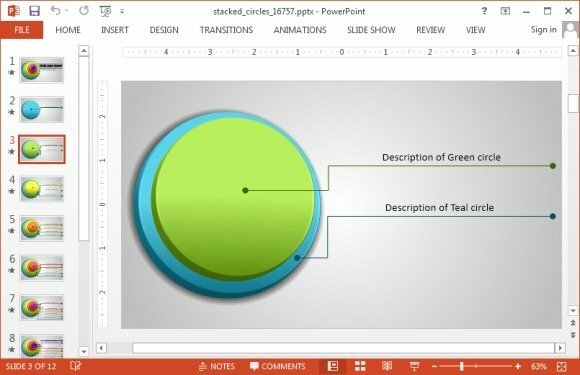 You can also change the color of the circles and adjust slide objects according to need. 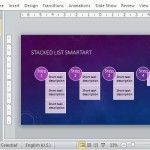 You can use this template in various ways, such as for making standalone stacked diagrams of different levels or to explain your stacked diagram by elaborating each step in detail in a different slide; eventually moving to the final layer by the last slide. 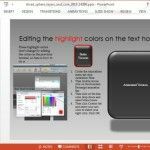 The template also provides slides with instructions for customizing the layers with your own colors. 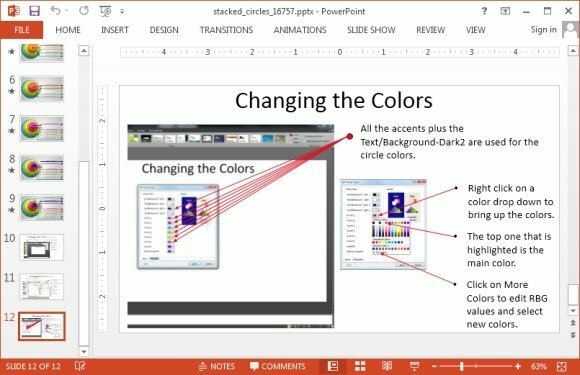 These instruction slides are specifically available for different versions of PowerPoint, including PowerPoint 2007, 2010 and PowerPoint 2013. 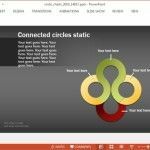 You can download the Animated Stacked Circles Diagram Template for Microsoft PowerPoint, as well as Keynote. 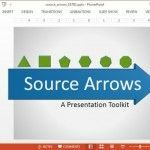 The available slide orientations include both the Standard and Widescreen formats.